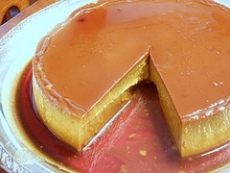 Have you made Caramel Flan? Cooking Time: 1 hours and 20 min. 1. Preheat the oven to 300F In a small saucepan, combine the granulated sugar with 1 tablespoon water. 2. 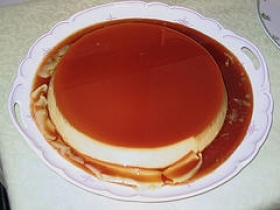 Stir over moderate heat until the sugar turns a medium caramel color, about 3 minutes. 3. 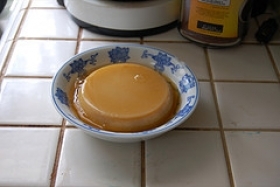 Working quickly, pour the caramel into six (6-oz). 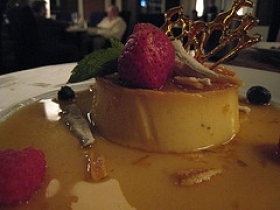 4. custard cups; don't worry if they're not evenly coated. 5. In a medium bowl, beat the eggs. Whisk in the brown sugar, vanilla and almond extract. 6. Gradually whisk in the evaporated and whole milk. 7. 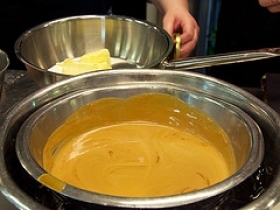 Strain the mixture through a sieve and then pour it into the custard cups. 8. Place the cups in a baking pan and add enough hot water to reach halfway up the sides. 9. Bake for about 1 hour or until set. 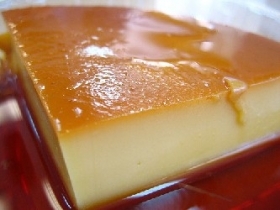 Let the flans cool to room temperature in the water bath. 10. 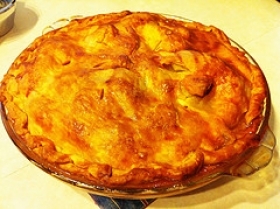 Cover and refrigerate overnight. 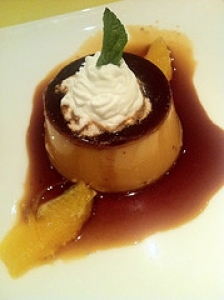 Run a knife tip around the edge of each flan and invert onto dessert plates. This recipe contains potential food allergens and will effect people with Egg, Milk, Tree Nuts, Almonds, Natural Sweeteners allergies.